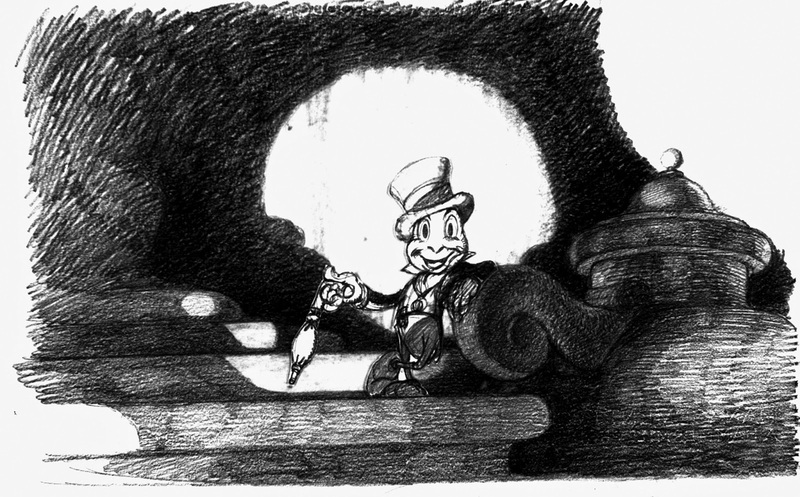 Here is Ward, practically as a kid at about twenty-five, animating rich acting scenes with one of his iconic characters Jiminy Cricket. It is astonishing to realize just how young the Disney crew was when the studio produced its early classic films. 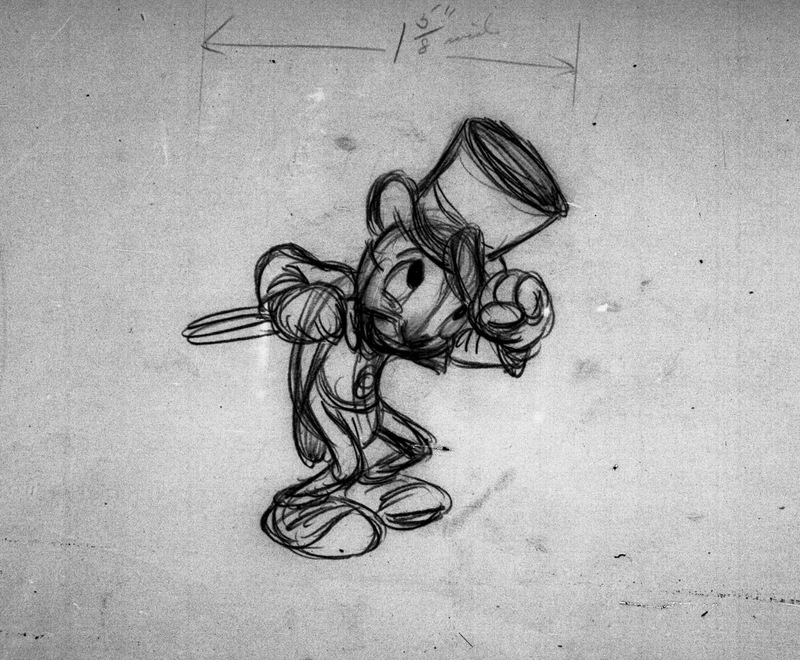 Just look at one of his rough animation drawings. It's solid, full of life, has a ton of flair and that Disney charm. 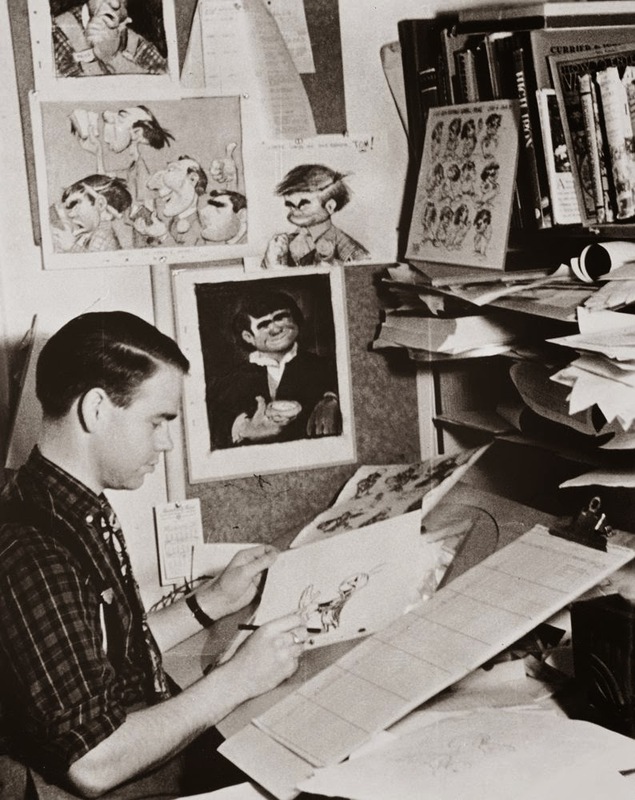 According to Kimball and the other animators it was Walt Disney, who was able to get his artists to this unimaginable level of excellence, and had them do things they didn't know they were capable of doing. Walt's exuberant passion for the animated medium rubbed off on everybody. Terrific story sketches like this one served as a springboard for great character animation.